Celebrate the waning days of summer with a special day in the city. 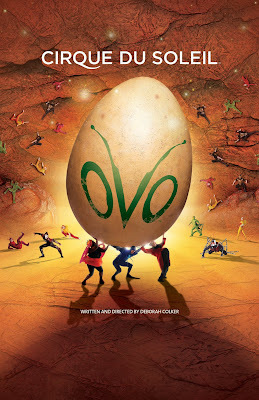 Visit the Aquarium to see all your favorite animals, then see Cirque du Soleil's OVO with a special back-to-school promotion! Not only will you benefit from exclusive category 2 and 3 discounts on tickets to all shows, Cirque du Soleil is also launching an all-new back-to-school merchandise collection. And, as a special thank you to Aquarium supporters, you'll receive a free Cirque du Soleil backpack with any purchase of $75 or more in the online boutique. Plus, don't miss the exclusive behind-the-scenes features, including a live chat with three of Cirque du Soleil's creators, and a sneak peek at some of the most inspiring trends for the coming year. OVO is currently performing for a limited time in Boston. Performances take place under the Big Top at Fan Pier and Pier 4 on Boston's waterfront. Click here to purchase already discounted tickets, no promo code needed!